- Opening narration to every Law and Order episode, as spoken by Steven Zirnkilton. 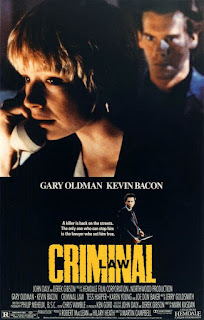 From all the talk of criminal law in the movies, on television and within those always salacious crime thriller novels, you'd think we'd all know lots about criminal law. Lots more, in fact, than for any other area of law. How many movies have you heard of with the compelling title: "Property Law"? Or how about a t.v. show called "Torts and Contracts"? Don't really grab you, do they? I think we can certainly learn something from movies, t.v. and novels about crimes and the people who commit them. Sometimes we learn a bit about the "justice system" - although that most sonorous of Law and Order voice overs conveniently omits any reference to the defence bar of which I'm a member. But learn about the criminal law? The problem is that the criminal law - like all other types of law - is an intangible. The ghost in the machine. Nothing to look at. Nothing to touch. Just a blanket of nothingness which envelopes us, supposedly keeping us all safe and dealing with those who transgress society's norms. Movies, t.v. and books can show the crimes. They can show the criminals. Occasionally they can give glimpses of the larger justice system. But what of the criminal law is there to show? Notwithstanding this failure of popular culture to educate - as shocking of a conclusion as this may be to all of my readers - if we're ever on the receiving end of the justice system, be it for traffic offences or bank robbery, understanding what exactly this criminal law thing is becomes very important. The challenge is that it's become one of THE most complicated areas of the law. Now I know that might be said about a lot of legal areas, but the majority of cases that drag through the courts tend to be the criminal ones - in part because the courts are the only ones who can pass final judgment on the guilt or innocence of an accused, and also because the government bears most criminal justice costs (unlike civil justice where the parties usually pay their own costs). That in turn produces a whole lot of criminal case law where judges are rendering decisions on everything from the validity of search warrants to how two words buried in the middle of a Criminal Code thousands of pages long should be interpreted. Likewise, Parliament loves constantly creating new criminal offences, tinkering with old ones, enacting modified criminal court procedures, and generally trying to show the public that it takes crime seriously, which creates a whole lot of criminal legislation. Parliament tends not to worry as much about whether the public thinks it takes property law seriously. The good news is that there are a few easy to understand and easy to remember principles of the criminal law that have been longstanding constants, regardless of all that criminal case law and legislation that has been cluttering the legal landscape lately. Today I offer you three of those principles. In future posts, I'll give you a few more. 1. Ignorance of the law is neither a defence nor an excuse. What this principle means for you is that if you have any doubts over whether something you are about to do is legal, you should always check the state of the law with at least an appropriate government official and perhaps with a lawyer before acting. Otherwise, you act at your own peril and risk being convicted of an offence. This rule applies equally to new changes in the law, very complex laws, or very obscure laws. 2. You are presumed to intend the logical consequences of your voluntary actions. Therefore, if you choose to hit someone and that person dies, you could be found guilty of manslaughter or murder - not just assault - depending on your original intention in striking the blow. 3. Exercising due diligence in order to avoid contravening the law is a defence in most regulatory offence matters. Your conduct will be assessed against what the reasonable person would have done in your situation. This means that driving with a speedometer you knew to be broken will not usually work as a speeding defence, but having your engine race uncontrollably despite your best efforts to stop your vehicle might be a defence. Stay tuned for next time, when I'll share three things you should know about the criminal law if you're stopped by the police.